Opening up new horizons in an instant. 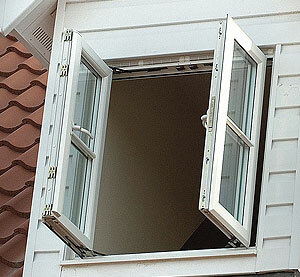 French Windows are excitingly different and certainly contemporary, yet with classical good looks. Both sides open fully leaving a clear, unobstructed opening. This gives an easy escape route should there ever be an emergency. 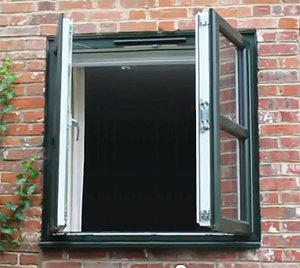 The Choices French Window provides an attractive, highly functional and reliable solution to a British problem where a fully opening window is needed to meet fire and Building Regulations or for access with furniture. Alternatively, home-owners might simply prefer the capability of operating both sashes leaving a totally uninterrupted open area. Choices French Windows operate in a similar way to French Doors. One sash is the Master, which can be opened and closed at will. The second is the Slave sash together with the floating mullion, that can only be opened when the Master is open. A shoot bolt provides security to the slave with an Espagnolette to the Master. See how Choices gives you peace of mind that can come with the unrestricted means of escape in an emergency.